Lush tropical gardens. 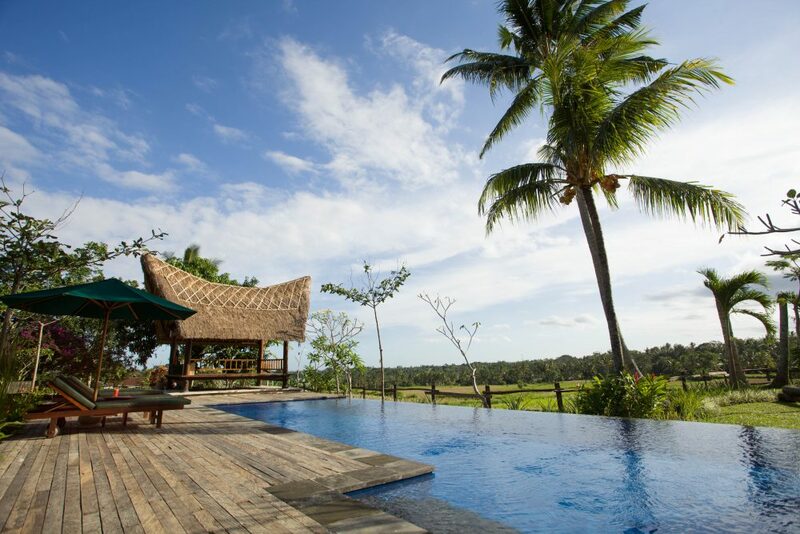 Infinity pool overlooking rice paddies. Serenity. Tranquility. Great vibes and positive energy. Do you need more reason to come to Omah Apik?